As is always the case, I had a different plan for a post this week, but changed my mind at the last minute. But it’s okay…..because it’s Friday. 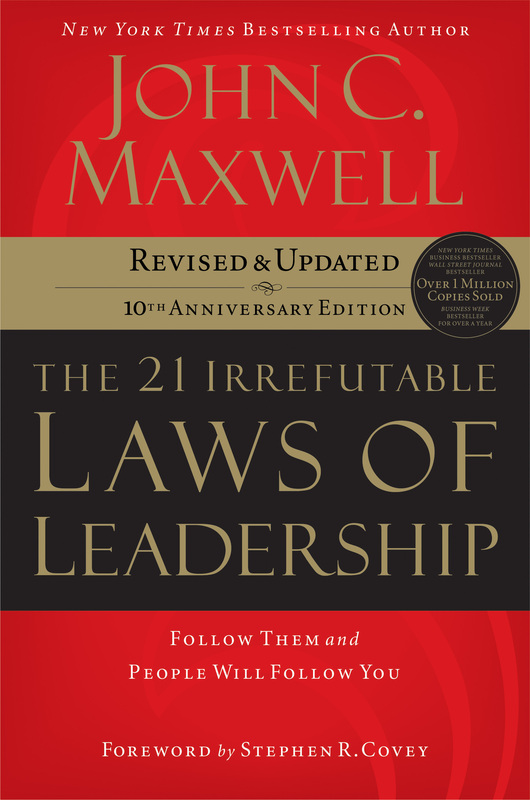 Last night, a colleague of mine forwarded out a great summary of The 21 Irrefutable Laws of Leadership by John Maxwell. You may know John Maxwell for his many lectures or books on leadership (e.g., The 5 Levels of Leadership, Talent Is Never Enough, and Everyone Communicates, Few Connect just to name a few). I haven’t read this book in particular, but have been exposed to many of the teachings. As I read through the summary, I thought this would be fantastic to share with those of you that haven’t seen it before or at least it would be a great reminder for those of you that have seen it. The information is very timely as we are off and running in 2012. Why? Because every organization needs great leaders at all levels. And they need them now. To drive this home, the end of the summary included the five sentences below. I’ve brought them to the front because I think they make a great point. Are you the leader you need to be? Are you determining and/or driving the success in your organization? I’ve included the summary of the laws below. While they are all great points, my favorites are #20 and #21. Thank you Sonia Spinks for sharing this with our team! We appreciate your leadership! 1. The Law of the Lid. Leadership ability is the lid that determines a person’s level of effectiveness. The higher you want to climb, the more you need leadership. The greater the impact you want to make, the greater your influence needs to be. Even though there is a lid, you can raise it. 2. The Law of Influence. The true measure of leadership is influence-nothing more, nothing less. If you don’t have influence, you will never be able to lead others. True leadership is not awarded, appointed, or assigned. It comes only from influence, and that can’t be mandated. It must be earned. The very essence of all power to influence lies in getting the other person to participate. If you want to find out whether your people are capable of leading, send them out to volunteer their time in the community because if they can get people to follow them there, then you know that they really do have influence. 3. The Law of Process. Leadership develops daily, not in a day. Becoming a leader is a lot like investing successfully in the stock market. If your hope is to make a fortune in a day you’re not going to be successful. What matters most is what you do day by day over the long haul. Successful leaders are learners. And the learning process is ongoing, a result of self-discipline and perseverance. The goal each day must be to get a little better, to build on the previous day’s progress. You can be a great leader, but it won’t happen in a day. Start now. You don’t become a champion on the field or court. You become a champion in your daily routine. 4. The Law of Navigation. Anyone can steer the ship, but it takes a leader to chart the course. Have a vision for the destination and understand what it will take to get there. A leader is one who sees more than others see, who sees farther than others see, and who sees before others do. Navigators draw on past experience, listen to what others have to say, examine the conditions before making commitments, and make sure their conclusions represent both faith and fact. The secret of the Law of Navigation is preparation. P redetermine a course of action. L ay out your goals. A llow time for acceptance. A lways point to the successes. D aily review your plan. 5. The Law of E.F. Hutton. When the real leader speaks, people listen. True leaders have character, relationships, knowledge, intuition, experience, past success, and ability. 6. The Law of Solid Ground. Trust is the foundation of leadership. You can’t take shortcuts no matter how long you’ve been leading people. You start with certain amount of change in your pocket, then with every decision thereafter, you are either building up more change or paying it out, and then when you are out of change, you’re done. To build trust, one must exemplify competence, connection and character. Character makes trust possible and trust makes leadership possible. 7. The Law of Respect. People naturally follow leaders stronger than themselves. When people respect someone as a person, they admire them. When they respect her as a friend, they love them. When they respect them as a leader, the follow them. 8. The Law of Intuition. Leaders evaluate everything with a leadership bias. A leader has to read the situation and know instinctively what play to call. People need a goal to galvanize them. Know who is for you and who is against you. Whenever leaders encounter a problem, they automatically measure it, and strive to resolve it. 9. The Law of Magnetism. Who you are is who you attract. You draw people to you who possess the same qualities you do. Birds of a feather flock together. You tend to attract and be drawn to people of similar attitude, generation, background, values, life experience and leadership ability. The better leader you are, the better leaders you will attract. If you think the people you attract could be better, then it’s time to improve yourself. 10. The Law of Connection. Leaders touch a heart before they ask for a hand. Connections happen between individuals. A great leader stands in front of his team and sees more than the collective group, he sees individuals. To connect with people in a group, relate to them as individuals. Leaders initiate connection with people. Walk slowly through the crowd and shake hands and encourage and express gratitude. People don’t care how much you know until they know how much you care. To lead yourself, use your head; to lead others, use your heart. 11. The Law of the Inner Circle. A leader’s potential is determined by those closest to him. Associate with good people. Look for these type of valuable people – potential value, positive value, personal value, production value and proven value. As iron sharpens iron, friends sharpen the minds of each other. Hire the best staff you can find, develop them as much as you can, and hand off everything you possibly can to them. You have more potential that you haven’t reached, and if you want to get there, surround yourself with the best people possible. 12. The Law of Empowerment. Only secure leaders give power to others. Lead by lifting up others. 13. The Law of Reproduction. It takes a leader to raise up a leader. If you try to keep others down, then you go down with them. Raise giant-killers like David who raised up a group of mighty men. We teach what we know and reproduce what we are. Spend time with great leaders. 14. The Law of Buy-In. People buy into the leader, then the vision. The leader finds the dream and then the people. The people find the leader and then the dream. People at first don’t follow worthy causes, they follow worthy leaders who promote worthwhile causes. People want to go along with people they get along with. Leader + Vision = Result. 15. The Law of Victory. Leaders find a way for the team to win. When the pressure is on, great leaders are at their best. 3 components of victory: 1) unity of vision, 2) diversity of skills, and 3) a leader dedicated to victory and raising players to their potential. 16. The Law of the Big Mo. Momentum is a leader’s best friend. Constantly fight negative momentum. Two keys – preparation and motivation. It starts with a little progress. Momentum helps teams perform better. Momentum is easier to steer than to start. Focus on what you can do, not what you can’t do. 17. The Law of Priorities. Leaders understand that activity is not necessarily accomplishment. Pareto Principle: If you focus on the activities that rank in the top 20% in terms of importance, you will have an 80% return on your effort. Three R’s: What is required? What gives the greatest return? What brings the greatest reward? Increase focus, but reduce number of actions. 18. The Law of Sacrifice. A leader must give up to go up. Leadership means setting an example. When you find yourself in a position of leadership, people follow your every move. Sacrifice is an ongoing process, not a one-time payment. When you become a leader, you lose the right to think about yourself. As you rise in leadership, responsibilities increase and rights decrease. If leaders have to give up to go up, then they have to give up even more to stay up. The higher you go, the more you give up. 19. The Law of Timing. When to lead is as important as what to do and where to go. 4 possible outcomes: 1) The wrong action at the wrong time leads to disaster. 2) The right action at the wrong time brings resistance. 3) The wrong action at the right time is a mistake. 4) The right action at the right time results in success. 20. The Law of Explosive Growth. Leader’s math: To add growth, lead followers, but to multiply growth, lead leaders. It’s the leaders responsibility to build the people who are going to build the company. Leaders who develop followers add one at a time. Leaders who develop leaders multiply their growth. 21. The Law of Legacy. A leader’s lasting value is measured by succession. Leadership is one of the things you cannot delegate. You either exercise it, or you abdicate it. A legacy is created only when a person puts his organization into the position to do great things without him. Success is not measured by what you’re leaving to, but by what you are leaving behind. Yesterday morning, I was reminded of some very important leadership lessons. The funny thing is that they all occurred in a walk across the office that took less than 5 minutes. On this particular walk, I was in heavy thought. I was trying to process some complex information before getting to my destination. As a result, my head was down, my eyes were on the floor, and I was walking briskly. I wasn’t my normal friendly, approachable self. Lesson 1: Eyes on the floor and walking briskly are not a good combination. It’s a recipe for disaster. In my brief journey, I successfully ran in to another person coming around a corner, ran in to a box of marketing materials, and nearly ran in to a structural column. Where was my “Danger, Will Robinson, danger” alarm? Simply, I wasn’t paying attention. I was lost in my own world and was not cognizant of my surroundings. Besides being a physical threat to myself and others, the lesson is a great leadership metaphor. Leaders need to keep their eyes on the horizon to successfully navigate changes in their environment. What’s worse is that he wasn’t the only one that I did that to on this walk. I was no more than 50 feet from him before the same situation repeated itself. And I found myself apologizing in the same fashion. “I’m sorry. I was lost in thought.” What a pathetic excuse. It really didn’t matter why I didn’t say hello, the fact is that I failed again and was called on it again. How many people did I pass that didn’t call me on it? People not only pay attention to your actions, but also to your inactions. …and they hold you accountable. Lesson 3: A little later in the day, well after my brief walk, I was back to my normal self. At our office coffee bar, I greeted an associate and asked her how she was doing. Instead of responding to my question, she said, “I saw you this morning.” And then softened her voice and turned her eyes down and finished, “…but you didn’t see me.” Those words cut me straight to the core, “you didn’t see me”. It’s every leader’s nightmare. I asked her, “Where were you?” She responded, “I walked right by you.” Ugh! What was I doing? I asked her why she didn’t say hello. She responded that she thought I looked really busy and didn’t want to bother me. People not only pay attention to a leader’s action and inaction, but they are impacted by them. That was a lot of learning for such a short walk. It goes to show that leaders are “on” all the time. Whether you realize it or not, people are watching your every move and are impacted by what you do and don’t do. You don’t get “down time”. While this may seem like a tough concept for leaders to accept, the fact is that more is required from you because of your position – whether formal or informal. My favorite bible verse is Luke 12:48 because it speaks such truth for leaders – To whom much is given, much is required. I appreciate these associates for calling me out and helping me get back on track, because as leaders we are judged by our weakest moments. So, keep your head up, eyes on the horizon, and make sure your actions positively impact others. 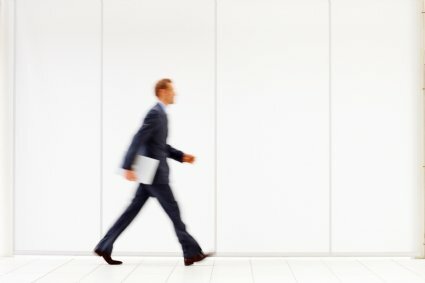 What lessons have you learned while walking across the office? Inc. Magazine is one of my favorite “pick up and reads” when I have a little down time. I always seem to walk away with a few nuggets that I can tuck in to my own leader’s locker. And then as I go through varying experiences, I’m able to pull those nuggets right back out of the locker and use them. In the last 48 hours, I’ve had four different development discussions with mentees and colleagues, each of which centered around awareness of what was happening above and below them. Meaning – situations that involved their boss, their employees, or both. To get to their answers, some times all you have to do is sit and listen and they work it out themselves. Some times they need a little prompting or encouragement. And some times (albeit few) they need to be told that they are causing the problem. Regardless, the solutions usually revolve around them being more aware of the people they follow and the people they lead. Where you sit on the bus offers you a different perspective as compared to where someone else sits. Taking the time to understand where they are coming from or their perspectives often cures a lot of ills and misconceptions. These discussions reminded me of an article I read in Inc. Magazine last month by Jeff Haden called 7 Things Your Employees Will Never Tell You. This was a great article chalked full of right-on-spot information. So, I set out to find it for you. As I searched, I came across another Inc. Magazine article written by Haden a couple days ago that was trending in social media called 10 Things Bosses Never Tell Employees. As I read it, I was like, “This one’s true. Yep that one too. True. True. Oh, that’s just funny – but true.” Haden is a genius! In two brief articles, he provided the answers to many of the questions that were asked during my discussions – as well as many more. So, my suggestion for you is to check out the two links above to the 17 truths inside Haden’s articles and get a good perspective of what’s going on above you and below you. Then use your new found knowledge to improve your understanding of your own work environment. You’ll also find that in your own role today as both boss and employee that you probably have these very same thoughts yourself. Have you ever had those days or weeks when the momentum of the day has you in a crazy frantic state? There’s just so much going on that it becomes noisy, confusing, and stressful. Too much to do. Too little time in the day. It’s kind of like taking a cup and filling it up with milk. At some point, you can’t put any more in to the cup without it overflowing and spilling over on to the floor. And as my 4-year-old says, “We don’t spill milk on the floor, Daddy” – usually after she’s already spilled it on the floor. But that proverbial cup is our own capacity to deal with life and the milk is the demands of the day that come at us from all directions. And when we can’t deal with anymore? Our cup runs over and spills on to the floor. The latter is messy. And even my 4-year-old gets it. So, what can we do to keep from spilling our milk? One strategy is to lessen the amount of milk flowing in the first place. Another would be to consume the milk in the cup faster, so that you can fill it with more. A third would be to get a bigger cup (perhaps something with a handle or a backpack attachment). 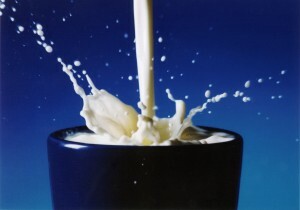 In this post, we’re going to tackle the milk flowing in because it’s a great starting point. But how do you do that? Slow or reduce the demands of life. The simplest answer is to create filters to ensure that the right amount of milk is flowing in to the cup. We call these filters ‘priorities’. Setting (and adhering) to personal priorities can often make the difference between dealing with outright pandemonium and at least a controlled chaos. Case in point – over the last couple weeks, I’ve received several emails and questions asking why there haven’t been any new posts on the Leader’s Locker recently. My answer is simple. Priorities. Just like you, my life gets crazy from time to time with demands coming from all directions. So, I fall back on my personal priorities to help slow the flow so that the things I am focusing on are done well. This blog is an awesome project, but it is not the most important thing in my life. So when push comes to shove, my higher priorities take precedence and I reduce the amount of time I spend blogging. Personally, I use my priorities as a guide to which activities I engage in and where I spend my time. Example: I am a huge stickler around attending my children’s special events. I rarely ever let work or another project keep me from them. Why? Because my kids are a greater priority than my career or other projects. Obviously, there is a life balance to that because (in the big picture) I have to make a living somehow so that I can buy milk for the ones I love and hold most dear. So how do I determine my priorities? Everyone has different motivators in life. No one can set your priorities for you, so you need to set them for yourself. This is a conscious task and shouldn’t be taken lightly. After all – your priorities dictate your time and your time is valuable. Try rattling off your top 5 priorities right now. Mine are easy – My faith, my wife, my kids, my career, my immediate family/close friends. I can recite these in a blink of an eye, because I’ve put thought in to them and use them as regular fence posts during my week. If you have never written down your priorities, find some quiet time and sit down with a blank sheet of paper and work it out. Start with the top 5. What is important to you? Try to think beyond what is important today or tomorrow. Think in the context of your life. Think bigger picture. Once those are written, then determine what is most important. Work through scenarios in your mind to help you get to the right priority order for you. Once you get the top 5, subsequent priorities become easier to define and order. Once done, file your list away or save it on your hard drive to revisit later. SIDE NOTE: This is also a good exercise for couples. It’s good when you’re on the same page about your life priorities! It’s important to find ways to remind yourself of your priorities. This could be notes on your office wall, a note on the bathroom mirror, or something as simple as a picture on your mobile phone or computer desktop. One trick I learned from one of my SVPs about a decade ago was to take a business card sized paper and write your priorities on one side and your goals on the other. Laminate it and put it in your wallet. If you ever find yourself struggling with what to do, take out the card for reference. The picture here is my first personal card that I made about 9 years ago. You can tell by the wear and tear that it has been put to good use. The other side has my 5 and 10 year goals on it. Life is dynamic. Things change often. And we as individuals change and evolve over time. Which means our priorities change too. A given priority may rise or fall in importance, be new to your list, or may fall off your list altogether. So, it is important to constantly re-evaluate your priorities to ensure you have the proper filters in place to help guide your path. As you can see from my card above, some of my priorities have shifted over time. When they do, make a new card. I suggest purposefully revisiting your priorities at least once a year or at any major life change. If you did #1 above, then this is as simple as pulling that list of priorities back out of the file or up on your computer and evaluating if you are in the same place as you were before or not. Setting personal priorities is critical to limiting the flow in to your life, which helps you deal with the momentum of the day. The absolute key to success though was mentioned briefly above – adherence. Once your priorities are set, you have to use them to guide how you spend your time. This means you will have to say ‘no’ to some things and stick to it. If not, you’ll always have more than you can handle and your cup will end up running over …and no one wants spilled milk. Just ask my daughter. Do you know your priorities? How do you set them? I’ve known this for quite a while. I have no delusions that I am. This means that I am going to make mistakes, just like everyone else. My guess is that you aren’t perfect either. If you are, you might as well stop reading now because you clearly don’t need any help. For the rest of us, this means that we are going to make many mistakes in the course of our personal and professional life. That’s just part of who we are. What differentiates us from others though is how we deal with those mistakes. Did we learn from them? Did we figure out what to do differently? Personally, I have a process that I go through when I do something dumb to make sure I don’t do it again. But to make this entertaining, let me tell you about one of my recent dumb episodes. Yesterday, I was scheduled to update several of our senior leaders on a project I am working on. As time drew near, I ran from the printer, across the building, up a flight of stairs, and over to the meeting room. I sat down in the lobby to wait my turn only to be told immediately, “you’re up”. So I jumped up quickly (my first mistake) and walked in to the room. I immediately began passing out copies of my PowerPoint, but noticed I was feeling a little light headed (clearly I stood up too quick). I pushed through the feeling and began my update while walking to the front of the room. As I approached the front of the room, I realized my light-headedness was becoming worse and I was struggling to catch my breath as I stood in front of my leadership. I continued my presentation anyway (my second mistake). At about a minute in, I started seeing black spots. At this point, I knew that this was not going in a good direction. While I typically like to stand and deliver, I said, “Just a second.” and grabbed the chair in front of me, sat down, and continued my presentation. It got better – once I had oxygen. Could you imagine what would have happened if I hadn’t sat down? My career trajectory may have become flatter than me laying passed out on the floor. Stories would be told for years around the water cooler about “that guy”. I would be a legend…and not in a good way. When I finished and left the room – I said a quick prayer of thanks for not passing out in front of the senior group and for being able to deliver the message. I checked in with a couple of the attendees later and they said that they could tell something was up in the beginning, but that the update was fine. I realized, though, that what I did was dumb and I only have myself to blame. Was I as effective as I could have been? No. Was I distracting in the first few minutes with whatever behavior I was exhibiting? Perhaps. Could it have been a lot worse? Definitely! So what did I do? In the minutes following the meeting, I walked through my “Gee Jason, that was dumb – don’t do that again” process. How will I ensure that I don’t do it again? So, let’s take my episode as an example and walk through this. WHY did it occur? As I thought about it, it all began because I was rushing. I shouldn’t have been because my presentation was done well ahead of time. But I was in a hurry, waited until the last minute to go upstairs, and then ran to my meeting. I sat down and stood up quickly, which made me light headed. But instead of taking a moment for my head to clear, I pushed ahead – probably because I’m stubborn. WHAT should I have done differently? For starters, I should have printed my materials sooner (in the case that something delayed me). I should have arrived at my meeting with such an important group well before the meeting started. And I should have stopped at the first sign of trouble and taken a second to catch my breath. HOW will I ensure that I don’t do it again? Two things. First, I will set a reminder to print my materials at least one hour prior to the update meetings. Second, I will set a calendar planner to arrive at the meeting 15 minutes prior the start. This should keep the whole episode from happening again. It is important to be specific in determining your actions for next time. This is a really quick process to run through and you can use the formula for a multitude of situations. But the key is being resolved to ensure that you follow the actions you outlined in the HOW – or else you are doomed to repeat yourself. Now, there is one possible additional step in some circumstances. If you do something dumb and insult, upset, or disappoint someone – you should ask yourself this additional question, “How do I make it right?” And then act on that quickly – as in – before the sun sets. Now, in hindsight, my dumb episode is kind of comical, and I hope you found some humor in it. But it’s only funny to tell because it had a relatively positive ending. The important thing is that I learned something from it. And that you learn from the mistakes that you make. So, how do you learn from your mistakes? What process do you go through when you do dumb things? It’s a new year! 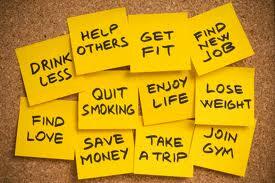 And with the new year comes a slew of promises, goals, and resolutions to “be a better you”. So, what resolutions have you set? As I’ve listened to several people this week, I’ve heard much of the same rhetoric that you hear every year at this time. I’m going to lose weight. I’m going to eat better. I’m going to be healthier. I’m going to read more. I’m going to spend more time with family and friends. Now, these are all noble goals. But let’s be honest. How many times have you set these goals for yourself at the beginning of the year and actually followed through on them as you had intended? If you’ve achieved your goals in the past then kudos to you! Unfortunately, you’re probably in the minority. Often, our resolutions go by the wayside before we get out of January. And then at the end of the year we wonder where the time went and vow to be more resolute the next year. My wife and I were talking about our goals and resolutions for 2012 this last week. And if I learned anything (which I learn a lot from my wife), it’s that everyone views resolutions differently and has different motivators to get them to succeed. For me, I need pretty clear goals that outline what I want to achieve. So instead of saying, “I will lose weight.” I say, “I will lose 20lbs by May 1st by working out 4x a week, watching my caloric intake, and eating low fat foods.” The latter goal for me is SMART (simple, measurable, attainable, realistic, timely) and is something I can accomplish. Now, not all pursuits and resolutions can easily fall in to that SMART format (e.g., I want to be more friendly. I want to listen more. ), but it does work well for many and I encourage the use of those concrete goals when possible. Another interesting observation of this week is that many of the resolutions that people talked about this week revolved around their personal life (e.g., weight, health, relationships, etc.). I didn’t hear anyone say, “I want to be a better leader.” Nor did I hear anyone talk about their professional life in any form. So, I want to focus here. Because I think it’s important to that we set goals in all aspects of our life; personal, professional, spiritual, etc. Since our focus is on leadership topics, let’s look at your leadership goals. What do you want to do differently as a leader this year? Have you set any goals or made resolutions? Resolving to do things different here isn’t much different than any other area of your life. It’s merely identifying the areas that you’d like to improve in, setting a goal, and then driving towards that goal. To share a personal example, for 2012 I resolve that I will be a better leader by ‘talking less and listening more’. Now, this is hardly a SMART goal, which for me means that I will have to be even more deliberate and diligent in my pursuit of this goal. Why is this one of my goals? Because this is a trait I see that makes other leaders great. And frankly, is an area that I can improve upon to improve my own leadership presence and skills. So, back to you. What can you do differently this year to become a better leader? Are you focusing on the things that matter? What other resolutions can you think of? What are YOU going to do? Thank you everyone for a great 2011! This was the first year of the Leader’s Locker! And its been a great time! After plenty of posts, thousands of views, tweets on Twitter, followers on Facebook, and links to LinkedIn – I can honestly say…we’re just getting started! There are big plans in store for 2012 to help you be a more insightful, impactful, and audacious leader! Thank you for taking time to read and contribute to the Leader’s Locker! I wish you successful leading in 2012!